Buzzfeed reports that an unnamed Apple employee said that a future version of Apple's iOS could employ unique graphical user interface features that use input from a mobile device's ambient light sensor to cast shadows on app icons thus creating the illusion of a three-dimensional workspace and bringing more realism to the mobile operating system. 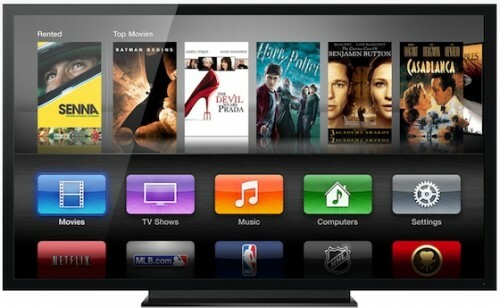 In a new research note, Brian White, Topeka Capital Markets’s analyst, points to a report from Chinese site 21cbh.com saying that Foxconn/Hon Hai planned to order LCD television panels from Sharp in 3Q 2012 instead of the 4Q 2012, which fuels speculation that the panels are intended for a forthcoming Apple TV set that could be launched for holiday shopping season. Earlier this year Sharp and Foxconn announced a partnership to develop LCD technology and observers have considered this step to be closely related to Apple TV set. The Wall Street analyst suggests that Apple could generate the highest annual net income of any publicly traded company in history this year. 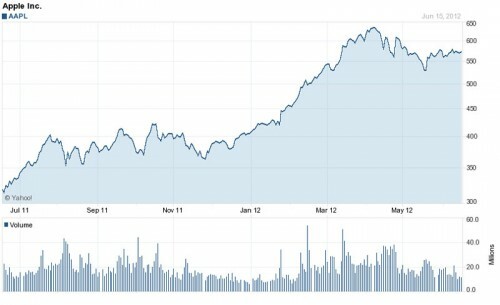 As of Monday morning, Apple's market cap was at about $545 billion. Some Wall Street analyst have noted a rather interesting trend amongthe largest companies. Companies that exceed $500 billion in market capitalization have trouble growing much beyond that point. 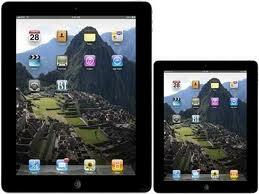 The analysts are concerned that a similar scenario could happen with Apple.